Early residents will remember this building, erected by Thos. 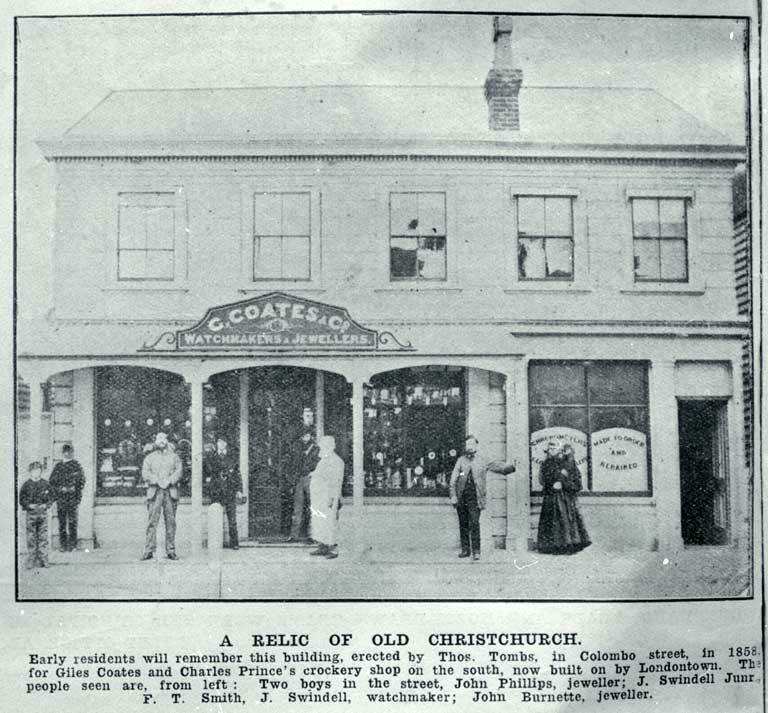 Tombs, in Colombo Street, in 1858, for Giles Coates and Charles Prince's crockery shop on the south, now built on by Londontown. The people seen are, from left: Two boys in the street, John Phillips, jeweller: J. Swindell Jnr., F. T. Smith, J. Swindell, watchmaker; John Burnette, jeweller. A descendant of John Brunette (1837-1912) says his name has been mis-spelt in The Weekly Press. She dates the image as taken 1870-1874 as Brunette worked for G. Coates & Co. during that time.